"Where a pattern is too intricate to be woven by hand, we occasionally use a printer to create our silk ties. 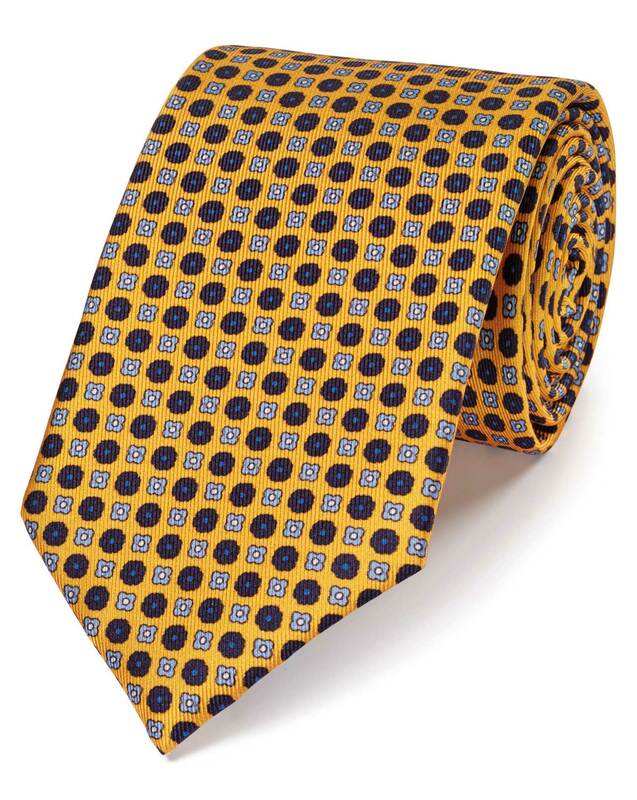 With a British-designed tie like this, I hope you’ll agree the results are well worth it." "100% fine silk, finished by hand. We insist on it for every tie." Christmas gift for my son, looks good I’m sure he’ll be pleased with it.